Many franchises love to brag about how long their history is and how rife with traditions their brands are. And sure, having had decades to establish their business is a great advantage. However, if they want to remain at the forefront of the market then they better keep innovating. Fortunately, technology provides clear ways to do just that. While no investment should be done half-heartedly, there’s nothing wrong with drawing inspiration from the brands who’ve already incorporated the latest innovations in their offerings. To get your creative juices flowing, we’ve assembled some of the coolest ways franchisors and franchisees alike are leveraging the digital revolution to their advantage. While Mickey D’s may be famous for serving up succulent burgers, the home of the Big Mac is extremely keen to introduce tech into its business model. In fact, in 2017, McDonald’s growth plan stated that “enhancing digital capabilities and the use of technology to dramatically elevate the customer experience” was a key ingredient for the company’s continuous success. This outspoken strategy has already seen visitors to the golden arches enjoy things like self-ordering systems and tablets at their tables. Moreover, the mega franchisor is using the resulting consumer data to boost sales. We’re loving it. When Apple unveiled the latest iteration of the Apple Watch this autumn, it rocked the healthtech world. The gadget enables the user to not only accurately detect heart arrhythmia and where a person is but also shows if the wearer experiences a hard fall. However, you may be surprised to hear that Steve Jobs’ old stomping ground wasn’t the first to use technology like this. Victoria Webber, franchisee of Bluebird Care Lincoln, has actively trialled a similar system among her clients. Having teamed up with MediBioSens, the healthtech startup, the homecare franchisee has been able to boost the safety of her clients as well as introduce new verticals that would provide people with more reasons to choose the healthcare provider. And she’s not the only one. Homecare franchises like Radfield Home Care and Clarriots Care have also invested in tech to ensure they provide a strong service. We can only embrace investments that makes people safer. Tech titans like Amazon and Google want people to start talking to their devices. But the opportunity is far greater for franchises than being able to ask Alexa to order a Domino’s Pizza. Including internet of things offerings into your services can boost your profits considerably. For instance, international real estate franchise Coldwell Banker increased its margins by setting up connected devices into the houses it was selling. Having established a partnership with tech publication CNET in the past, the franchise went all in a few years ago by introducing the world’s first smart home staging kit, which includes installing smart thermostats, smoke alarms, security cameras, door locks and lights. Now that’s innovation you can write home about. E-learning is one of those words that means exactly what you think it does. Essentially, it provides you with the opportunity to learn new things via an online portal which you can access anywhere as long as you have an internet connection. For franchisors, this means they can train both personnel and franchisees without having them travel to the head office. And from ServiceMaster Clean to Puddle Ducks, several franchisors have already taken advantage of the opportunity to upskill their franchisees in everything from anti-bribery legislation to how to safely teach babies how to swim. If you ask us, more franchisors should learn from their example. Businesses have used loyalty schemes for decades. However, the convenience store franchise 7-Eleven took the idea one step further by launching a loyalty app in late 2017. Essentially, by downloading the app customers can get points by purchasing things like crisps, beverages and fresh food and receive coupons for free coffee and other items in stores. Now that’s something to chew on next time you’re thinking about investing in tech. All franchises are only as good as the franchisees working for them. Unsurprisingly then many franchises have invested in technology to ensure no ideal candidates get lost in the deluge of emails these businesses receive. For instance, homecare provider Promedica 24 receives thousands of texts from prospective franchisees on a daily basis. That’s why the company has invested in technology that makes it easier to track candidates, gauge how interested they seem to be as they go through the recruitment process online and see where and if some prospects abandon their pursuit. This has enabled the franchisor to not only ensure it never misses out on opportunities but also that the recruitment process can be improved. Whether you like it or not, it seems as if we’re heading towards a cashless society. Indeed, research from Starcom Worldwide, the media company, has revealed 73% of Brits don’t expect to be using physical money in five years’ time. Fortunately, some franchises seem to be ahead of the curve. In April 2018, SPAR, the grocery chain, introduced its first entirely cashless store in the Dutch city Utrecht. Under its sub-brand SPAR University, the franchisor enabled students to use the SPAR University app to simply scan and pay for items without popping by the cash register. Not only did this enable customers to skip bringing their wallets but it also benefitted SPAR, which acquired lots of useful data in return. And as we know, the more you know about your customers’ lives, the more you can improve your service. 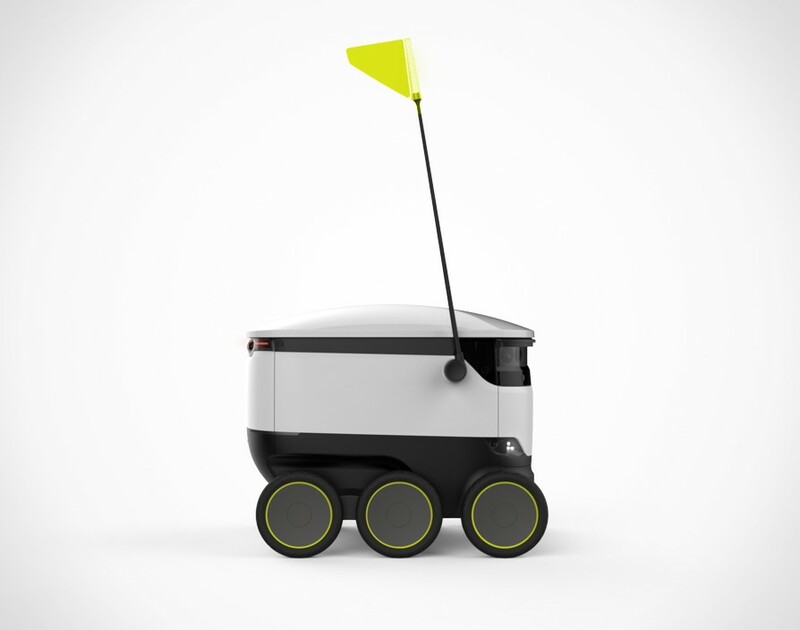 Everything from food to toilet paper will be delivered by drones in the future. And one particular franchise is at the forefront of this revolution. In the past, Domino’s Pizza has trialled delivering food with flying drones in New Zealand. In March 2017 the company stepped it up by partnering up with Starship Technologies, the London-based robot-development startup, to try out land-based robot deliveries too. The trial happened within a mile from selected German restaurants and while it’s still only in the testing stages, we can’t wait for it to become mainstream. How can you establish when you’ll break even?